The liftoff of Russia’s iconic Soyuz booster last week with 73 satellites was captured in unique ways from the ground and far above with satellites from the U.S. and Russia pointed at the rocket’s remote launch site in Kazakhstan to capture views before, during and after liftoff. 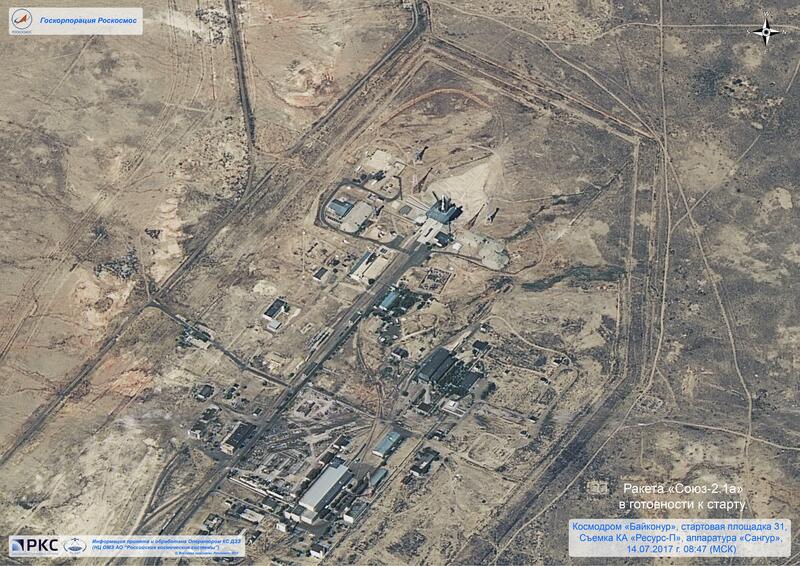 An orbiting Dove Satellite captured these oblique views of Soyuz taking to the skies. 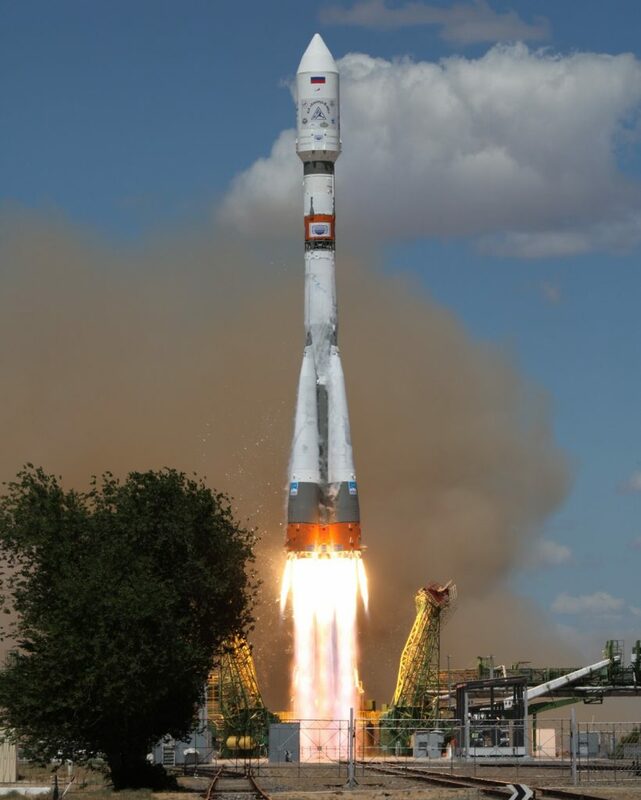 Soyuz, flying in its evolved 2-1A version with a Fregat upper stage, lifted off from Site 31/6 at the Baikonur Cosmodrome at 6:36:49 UTC last Friday, July 14. Thundering into mostly clear skies powered by its four boosters and core stage, Soyuz set out on a nine-minute climb onto a sub-orbital arc from where the Fregat-M could take over for a complex mission that would take the upper stage to three different orbits to dispatch its primary passenger – the Kanopus V-IK remote sensing satellite operated by Roscosmos – and a cluster of 72 secondary payloads comprised of five microsatellites between 16 and 120 Kilograms and 67 CubeSats. Among the secondary payload cluster for this mission were 48 Doves operated by San Francisco-based Planet as part of a constellation of over 200 satellites operated in Sun Synchronous and Non-Synchronous Orbits with limited lifetime – requiring regular replenishment to keep the constellation in a position to image the entire Earth at least once per day. One of the Doves already in orbit had a line of sight to the Baikonur Launch Pad from where its companions were being launched and Planet made use of the opportunity to capture some unique views of the rocket’s liftoff and ascent. The images are from an oblique vantage point as the Dove capturing the views of the launch was not directly overhead, requiring the satellite to slew around 50 degrees off-nadir to view the launch pad. Using its telescopic imaging payload, the Dove captured one still image per second, continuing to slew to compensate for its own orbital motion to keep the launch pad in view – clearly showing the Soyuz lift off the ground and the cloud of dust and exhaust kicked up at liftoff. 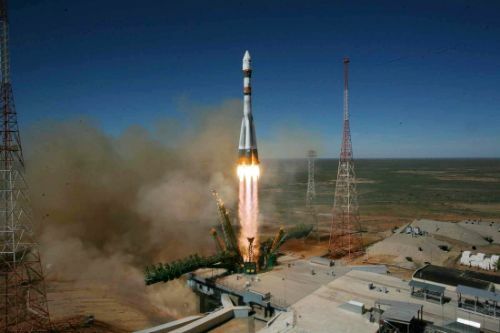 The satellite kept the ascending Soyuz in view as it climbed through scattered clouds and swung downrange to deliver its multi-satellite payload into a polar orbit. In addition to images captured by one of their Doves, Planet also pointed their SkySats at the Site 31/6 launch site to collect high-resolution still images of the fully-fueled Soyuz standing atop its launch pad around 13 minutes before launch and showing the empty pad five minutes after Soyuz departed with fire engines already at the pad to complete post-launch safing. The SkySats were originally designed by SkyBox imaging and taken over by Google in 2014 when the company’s name changed to Terra Bella. 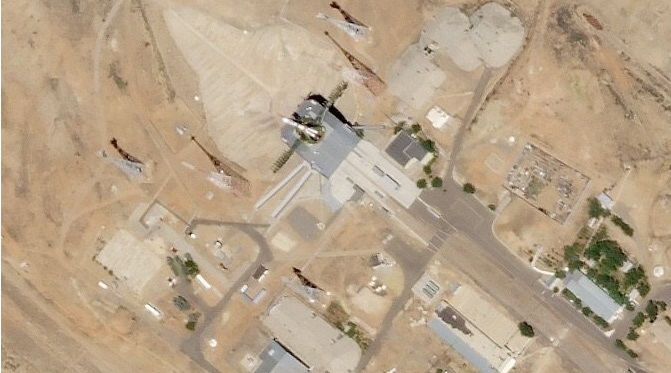 Planet acquired the company, including its seven satellites in orbit, earlier this year to expand their satellite constellation with a high-resolution component as the SkySats can collect images at a ground resolution of 0.9 meters for black-and-white and 2 meters for color images, compared to the Doves that collect imagery at a three-meter resolution (depending on orbital altitude). 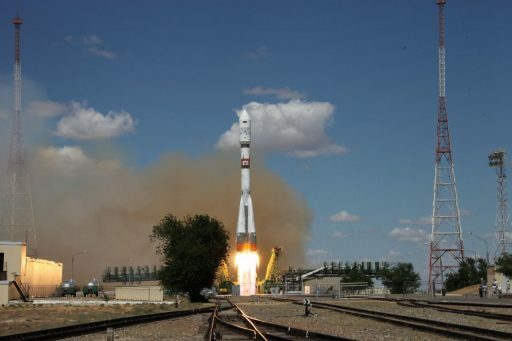 Roscosmos – the primary operator of Friday’s launch – had a similar opportunity as Planet with their Resurs-P1 satellite that flew past Baikonur 49 minutes prior to launch – snapping a high-resolution capture of the fully-fueled Soyuz at the moment its two Service Structure halves had just opened up and were retracting to clear the way uphill for the 46-meter tall launcher. This provides an explanation on why teams were in a slight rush to complete the retraction of the service structure around five to ten minutes earlier than would be common for an uncrewed Soyuz mission, giving the passing satellite a direct view of the Soyuz rocket. Roscosmos video of Friday’s launch, captured by multiple pad-side cameras. Friday’s mission was declared a complete success after all 73 satellites were separated into their desired orbits and Fregat completed a propulsive deorbit maneuver after over eight hours of operation to remove itself from orbit. Orbital data released over the last six days shows the 600-Kilogram Kanopus V-IK satellite in a 506 by 510-Kilometer orbit, the five microsatellites in an orbit of 587 by 605 Kilometers, the non-Dove CubeSats in an orbit around 586 by 602 Kilometers, while the Doves entered a lower orbit of 460 by 475 Kilometers – set to use differential drag to enter the proper spacing within their orbital plane to capture high-revisit rate imagery of the planet. One of the CubeSats on this mission has gained some media coverage in the days after liftoff as the crowd-funded Mayak satellite promised to become the brightest object in the night sky aside from the Moon by deploying a large pyramidal reflector to create an artificial star. Mayak, Russian for ‘Lighthouse’ or ‘Beacon,’ was expected to be brighter than the International Space Station and rival the brightness of the most powerful Iridium satellite flares – keeping a stable orientation for one month before entering a tumble around all three axes to create a twinkling star moving across the sky. 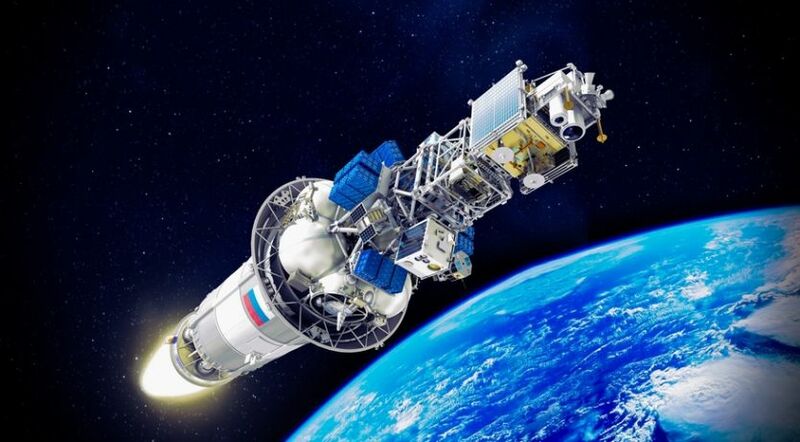 According to a radio interview by the project team, Mayak has deployed its reflector, however, observations so far have not delivered the promised results. Some observers in Russia reported seeing Mayak as a dim object around optical magnitude 6-7 with brief flare-ups to Mag 0. Other observation reports from the U.S., Canada and Europe were not able to visually observe Mayak. An attempt to observe Mayak by the author of this website on July 19 (UTC) down to Mag 5 did not yield any observations of the satellite. 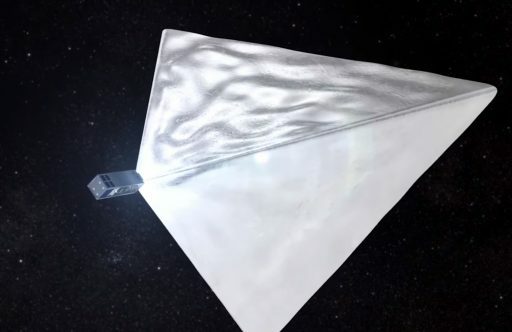 It is possible that Mayak’s reflector functions in a directional manner while the satellite is still in three-axis control, only visible from a narrow corridor on the ground. A conclusion will only be possible when definitive orbital parameters are available for the Mayak satellite after sufficient separation is reached between the 19 non-Dove CubeSats. 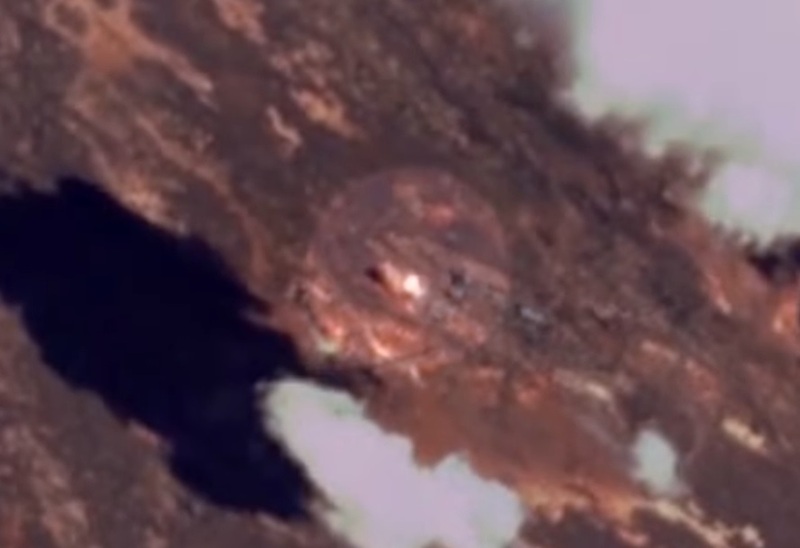 Copyright © 2019 Soyuz – 73 Satellites. All rights reserved.